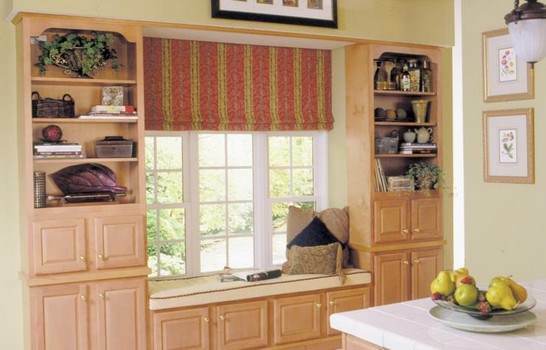 A window seat is an attractive addition to any room and adds seating and storage in one great package. 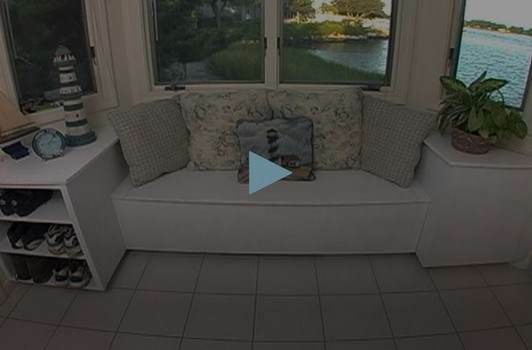 Choose free window seat plans and customize them to fit your space. Children's rooms, den or family rooms are all popular areas for window seat plans. 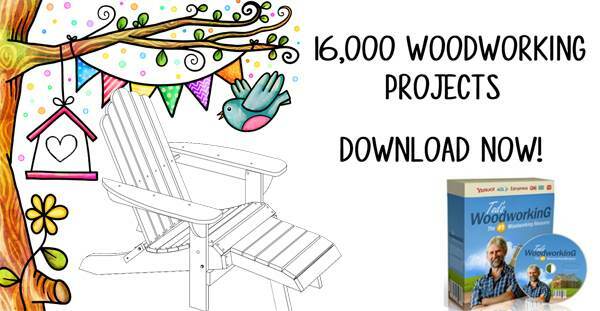 Use plywood or MDF to create budget seating and decorate with cheery paint. Add style to a room with hardwoods and stain to create an elegant reading nook that is stylish and functional. Use ready-made cushions or sew customized cushions to fit your new seat, using fabrics to complement your room. Window seats provide storage for children's toys and sports equipment, sewing supplies and bulky items. There are many versions from which to choose, including portable and paneled styles. The additional cubbies included on one style are perfect for the kid's room. 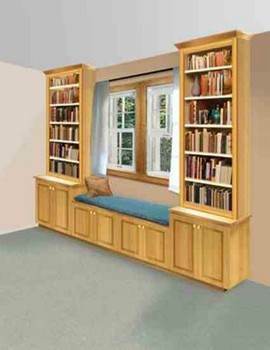 You can build this custom window seat by using pre-made kitchen cabinets and a couple of bookcase units. 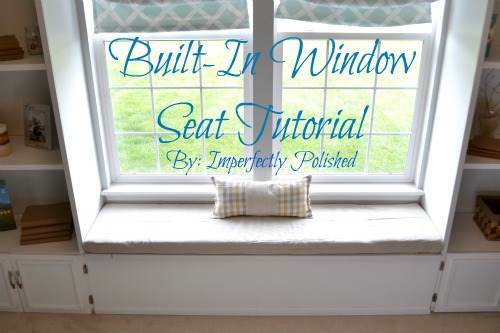 Here is a project for building a wooden seat that fits perfectly under a window and has tons of storage. 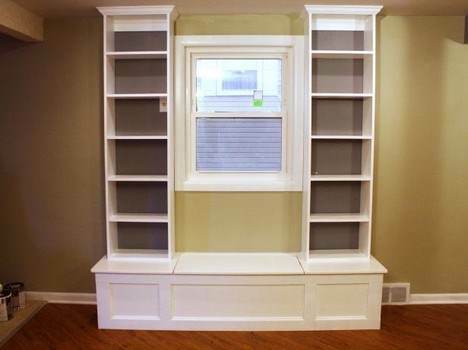 This simple plan shows you how to build an attractive book nook out of two bookcases and a few kitchen cabinets. 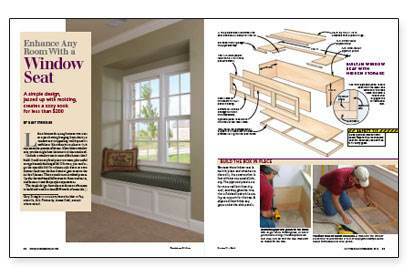 Use these instructions for creating a custom window bench with shelving on each side and under seat storage. 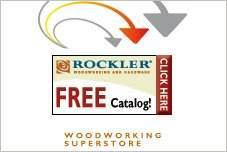 Here is a woodworking project with photos for building a built-in window seat for any room in the house. 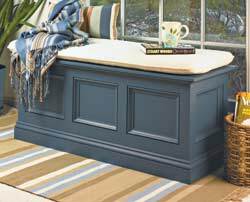 Here are instructions for building a paneled window seat with under seat storage. A beautiful window bench with Victorian styling can be easily built with this detailed window seat plan. 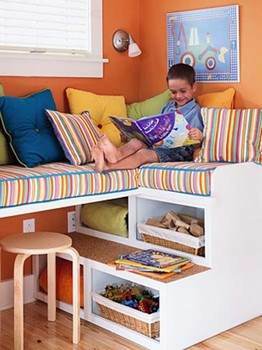 Any kid would love to have this window seat with its cushioned seating and storage cubbies underneath. 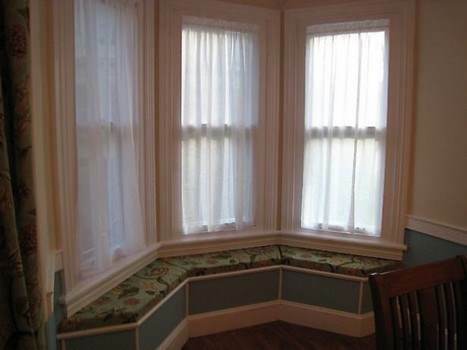 This window seat takes up little floor space. Here is an easy project that results in a lovely paneled window seat built using a sheet of plywood. You can easily transform a room from dull to spectacular by building a bay window seat. 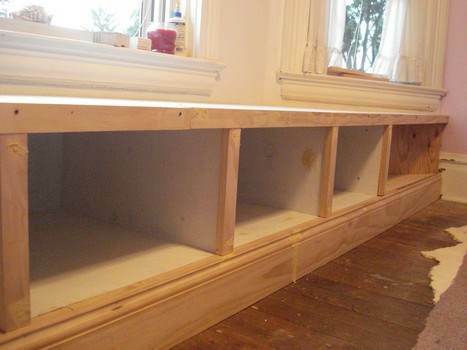 This project has all you need for building a window seat with a hinged lid. 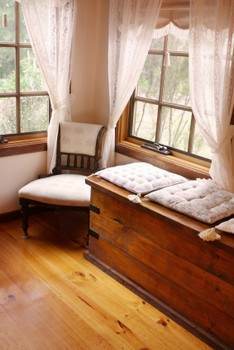 Build a unique window seat that doubles as a sewing box. Great for the seamstress in your family.